SACRAMENTO (CN) – California Democrats will push Gov. Jerry Brown during upcoming budget negotiations for an additional $1 billion to finance healthcare for over 100,000 undocumented immigrants. Along with creating coverage for an estimated 114,000 uninsured undocumented adults between the ages of 19-25, the money would expand existing Medi-Cal programs and create a health care tax credit for low-income Californians. “These are meaningful actions we can take right now to improve health care for all Californians that will also move us toward the long-term goal of a creating a unified publicly financed health care system in our state,” said Eureka Assemblyman Jim Wood in a statement. The Assembly Democrats are hoping to take advantage of the state’s surplus- recently pegged at $7.5 billion by the state’s Legislative Analyst’s Office- and divert $1 billion to social welfare improvements. The Democrats’ proposal will likely face scrutiny from the governor’s financial advisors. In his fourth and final term, Brown has routinely rebuffed his party’s spending requests and instead opted to stock the state’s rainy-day fund. When he introduced his $190 billion budget proposal in January, Brown warned of the need to prepare the state for “darkness, decline and recession.” His revised budget bill is due this month. 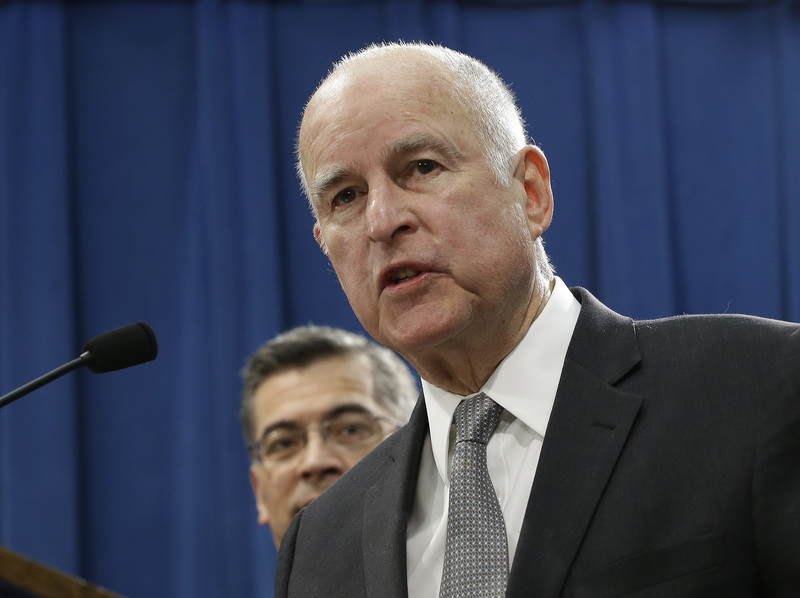 “In a volatile and uncertain world, fixing the budget is a perpetual struggle and one we must approach with wisdom,” Brown said in a message to the Democrat-controlled Legislature. But Brown has been open to Medi-Cal expansions in recent years, including a 2015 measure that created access for undocumented children and teenagers. Proponents say creating access for all Californians will help lower medical costs in the long run, as uninsured residents typically rely on costly emergency room visits. The state estimates that of the 2.8 million uninsured Californians, 1.8 million are undocumented immigrants. Under the Democrats’ proposal, $250 million would be dedicated to health care access for young undocumented adults, $300 million in “premium assistance” to low-income Covered California enrollees and $200-$250 million for a new refundable tax credit which lawmakers say could impact up to 371,000 Californians. “This funding package will be a major step forward in California taking the lead to expand coverage, increase access, address workforce capacity issues, improve accountability and transparency and make health care more affordable for the middle class,” said Assemblyman Joaquin Arambula, D-Fresno. The proposal comes amid a growing immigration beef between the Trump administration and California’s Democratic leaders. Last week the state filed a motion to dismiss the federal lawsuit brought by the U.S. Department of Justice over three of California’s immigration laws.